zarinahtakesapaycut: Serious questions for PwC's Sridharan Nair to answer. Serious questions for PwC's Sridharan Nair to answer. Sridharan Nair, there are questions to be answered. Xinhuanet reports,"HANGZHOU, Feb. 21 (Xinhua) -- Chinese e-commerce giant Alibaba said Monday its chief executive officer and chief operating officer had resigned after a probe found many suppliers had defrauded online customers. David Wei and Elvis Lee resigned as CEO and COO respectively, accepting responsibility after 1,107 of its suppliers were terminated for using the site to cheat buyers in 2010, the company said in a statement to media organizations. "Alibaba will definitely not become a money machine, and any behavior that runs against the company's values will not be tolerated," the notice said. "Integrity is the foundation of values that Alibaba cherishes most, which include the integrity of the staff and a honest and safe online trading platform," said founder and non-executive chairman Jack Ma in a letter to his employees." 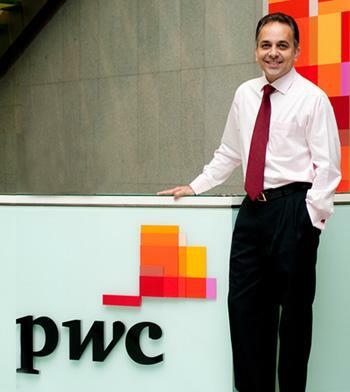 Mr Sridharan Nair, over the past few weeks we have seen Ms Loh Lay Choon, Ms Ng Yin Ching and yourself talking about things like branding, and various awards as if there is absolutely nothing wrong with PwC Malaysia! This just will not wash. If this is a new PR strategy that PwC Malaysia is trying to use to avoid answering the difficult questions raised here and elsewhere, then PwC has seriously underestimated the Malaysian public. Until Chin Kwai Fatt and the other senior partners answer the allegations against them, no PR strategy PwC tries to use will fool the Malaysian Public! Does PwC seriously think that as long as some new faces are pushed to the forefront to become the new spokespersons for PwC, about matters which have absolutely nothing to do with the burning questions regarding the fraudulent and corrupt acts of some Senior Partners of the firm, then everyone will just accept that matters have been brought to a close? Seriously? Lets put it this way so we can bring home the seriousness of the situation to you,Mr Sridharan. In a short matter of time, shareholders of CIMB will be asking very serious questions of CIMB's senior management on why they continue to use the services of PwC Malaysia as their auditors, when PwC has shown absolutely no intention at all of clearing its name of the allegations here, or to bring to book the Senior Partners whose acts are manifestly indefensible. Now, if the Senior Management of CIMB has no choice but to acquiesce to the demands for a change of the external auditors, to avoid litigation, will that then bring home the seriousness of the situation to you Mr Sridharan, as the engagement partner for CIMB? Please do not insult the intelligence of the Malaysian public by trying to sweep the allegations of fraudulent and corrupt behaviour under the carpet. Not when they can still see that Chin Kwai Fatt and Johan Raslan remain as the MD and Chairman of PwC Malaysia, and that these two characters have made no attempt at all to redeem themselves. Look at the actions of the CEO and COO of Alibaba, who resign their positions even though there is no direct connections between themselves and the fraud perpetrated by their staff, and compare that with the actions of your own Senior Partners, who cling on to their positions even though they are the very ones who are alleged to have been perpetrating the fraud, and instead are using the junior staff to project a false sense of normalcy to the general public. Haven't Chin Kwai Fatt & Co caused enough damage yet? How much longer does PwC Malaysia and its staff want to protect them from having to answer the questions, by trying to act as if nothing is wrong? PwC Malaysia's Public Relation and Media Bungle. Tun Dr Ling Liong Sik may be innocent after all. Mr Paul Boorman, why so silent? 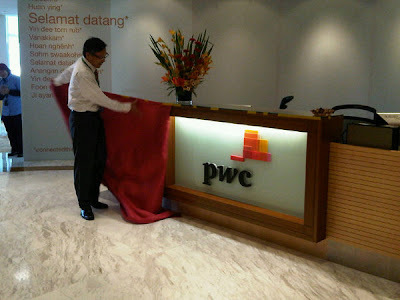 Who is in charge of PwC Malaysia?